A federal judge sentenced two Long Island, New York, sales representatives to prison for fraudulently selling vending machine businesses. Defendants worked at Multivend, LLC, d/b/a/ Vendstar, based in Deer Park, New York. Photo by: Igoghost, via Free Images. Deer Park, NY - January 6, 2016 - A federal judge sentenced two Long Island, New York, sales representatives to prison for fraudulently selling vending machine businesses, the Justice Department announced today. The defendants worked at Multivend, LLC, d/b/a/ Vendstar, based in Deer Park, New York. Before closing in July 2010, Vendstar made approximately $10 to $12 million in sales per year. The sentences were imposed this week by U.S. District Court Judge Joan M. Azrack of the Eastern District of New York. Scott M. Doumas, 44, of Setauket-East Setauket, New York, was sentenced to serve four years in prison and ordered to pay $290,664 in restitution. Doumas worked as a sales representative and sales manager at Vendstar from 1999 to 2009. Doumas was found guilty of mail fraud and conspiracy after a six-week jury trial in 2015. Paul E. Raia, 65, of Brookhaven, New York, was sentenced to serve three years in prison and ordered to pay $339,354 in restitution. Raia was a salesman at Vendstar from 2006 to 2010. Raia was found guilty at trial of wire fraud and conspiracy. The Vendstar investigation began in 2010 and resulted in criminal charges filed against 22 individuals in 2012 and 2013. All 22 of those defendants were convicted, and 18 of them have now been sentenced. Four additional defendants convicted of fraud in connection with Vendstar are awaiting sentencing. Vendstar sold business opportunities for plastic bulk vending machines that, for 25 cents, dispensed loose candy and nuts. Vendstar advertised nationwide in newspapers and on the Internet. 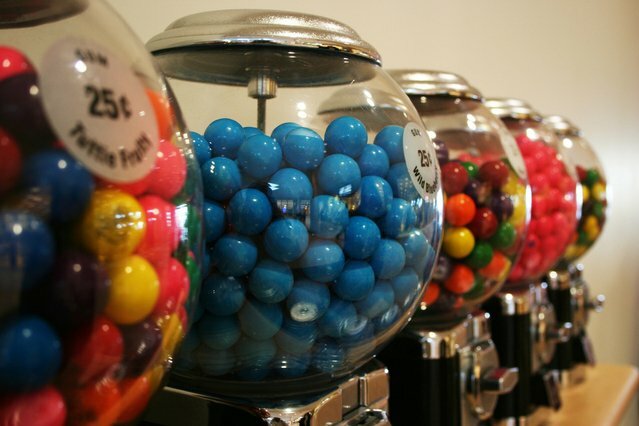 Vendstar promised to provide everything its customers would need to be successful, including the machines, candy, assistance in finding profitable locations, and ongoing customer support. The sales representatives – with the knowledge and approval of Vendstar’s managers – misrepresented the business opportunity’s likely profits, the amount of money that Vendstar’s prior customers were earning, how quickly customers were likely to recover their investment, the quality of locations that were available for the vending machines, and the level of location assistance that customers would receive from locating companies recommended by Vendstar. Vendstar referred customers to locating companies that did not find profitable locations and regularly changed their names to stay ahead of constant complaints. Vendstar sales representatives also falsely claimed to operate their own profitable vending routes, according to evidence introduced during the trial. Principal Deputy Assistant Attorney General Mizer commended the U.S. Postal Inspection Service for its thorough investigation. The case was prosecuted by Senior Litigation Counsel Patrick Jasperse and Alan Phelps of the Civil Division’s Consumer Protection Branch. During the last 10 years, approximately 170 individuals have been convicted of fraudulently selling business opportunities in cases prosecuted by the Consumer Protection Branch. For more information about the Consumer Protection Branch and its enforcement efforts, visit its website. Subject: LongIsland.com - Your Name sent you Article details of "Two Long Island Salesmen Sentenced to Prison for Fraudulently Selling Vending Machine Businesses"